Last week I showed you how I made a Fabric Wrist Strap and promised to reveal what it would be attached to this week. 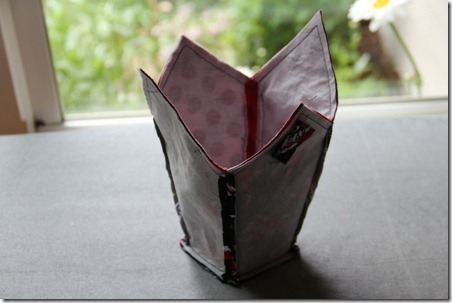 The suspense is over – it’s this little wristlet, inspired by a take-out box! I’m heading to Las Vegas in a couple of weeks with my husband and kids. We visit once every year or two and always have a ball. I do have one major problem though…sunglasses. We do a lot of walking in and out of buildings, which means putting them on and taking them off. I can’t put them on top of my head because, thanks to my fine hair, they slide right off. I don’t like to carry a full-on purse because, well, I just don’t like to. That leaves me carrying them in my hand, likely to lose them somewhere when I lay them down to put money in a slot machine…I mean…nope, we both know that’s the truth. Given the fact that we’re here with no sun to speak of and are likely to spontaneously combust when we reach 100-degree Vegas, I should probably also have sunscreen handy. So, what I ended up needing was something small, but semi-roomy. 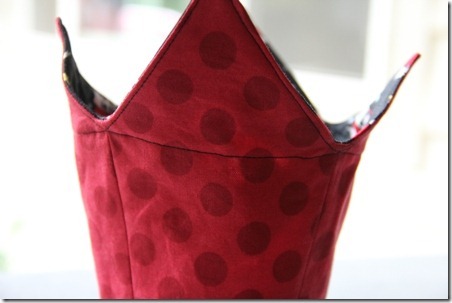 To make this little bag, you’ll need this pattern. Quantities and instructions are printed on each piece. You’ll notice there are two different sizes for the sides – you’ll need two of each size for the outside and the same for the lining. 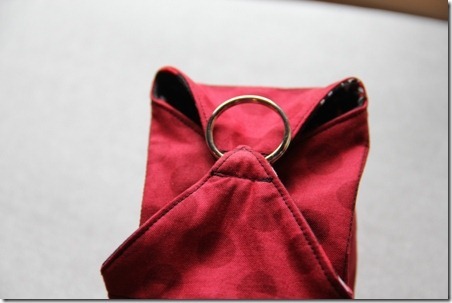 In addition to the fabric pieces, you’ll also need a metal ring (like you’d use on a key ring) and a 3/8” snap. 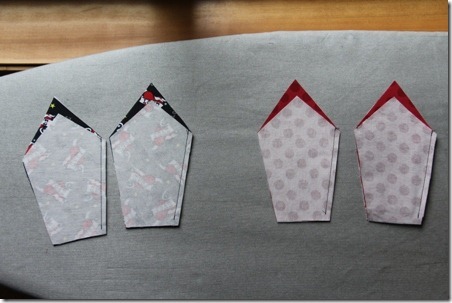 Apply the iron-on interfacing to the back of each piece. Fold the pocket right sides together. Stitch, leaving an opening to turn. Turn and press, turning in the opening. Pin to one of the taller outside pieces, 1/2” from bottom edge and centered side to side. Stitch down both sides and across bottom, close to pocket edge. Lay one short side on top of a tall side, right sides together, and stitch down right side, stopping 1/4” from bottom edge. Repeat with other two outside pieces and all lining pieces. Press seams open. Lay the two outside pieces right sides together. Stitch the remaining two sides, stopping 1/4” from the bottom edge. Repeat with lining. Press seams open. Match one lower edge to one side of square bottom. Stitch from side seam to side seam. Turn and match the next side to the corresponding square side. Repeat until all four sides are sewn. Do the same to the lining. Clip the corners and press the seams up. A pressing ham works great for this, just slide the smaller end inside. If you do much sewing and don’t have a pressing ham, you might want to consider getting one. Mine was only about $10, and works great for pressing oddly shaped items. I use mine to press the curves on the Ninja Monkey Bag. Secret’s out. Turn the outside so it’s right side out. Stuff it into the lining. Match up the seams and edges. Pin. Stitch around the upper edge, leaving a 2” opening to turn. You can ignore that bit of fabric on the right. You can also ignore any red Velcro you may see in other photos. It was a fastener plan gone wrong. When you’re inventing something as you’re assembling, it happens. Clip the corners. Turn both the outside and lining right side out through the opening. Push the corners out with something pointy. Push the lining down into the bag. Press the edge. Top stitch around the top, close to the edge. Stitch across each flap at the bottom from seam to seam. Press the flaps in along the stitching line. Stitch the 3/8” snap on the shorter flaps near the point so the two points will overlap each other slightly when snapped. Overlap the points on the taller sides by 1”. Stitch across, about 1/8” from the point on each side. Stitch again, 1/8” away from first stitching. Thread the metal ring on between the two points. Add the Fabric Wrist Strap and you’ve got a wristlet! This bag definitely holds it’s shape better when it’s full, so I’ll be doing my very best to take care of that while I’m on vacation. Some shopping might be in order. It’ll be rough, but I’ll try to manage.